The nation's continued fascination with his enduring legacy. One of the most dynamic and inspiring US presidents, John F. Kennedy was often the feature on magazine covers because of his successful political career, charismatic personality and youthful good looks. Though his life ended tragically in Dallas on Nov. 22, 1963, President Kennedy's legacy continues to capture the imagination of the nation to this day. 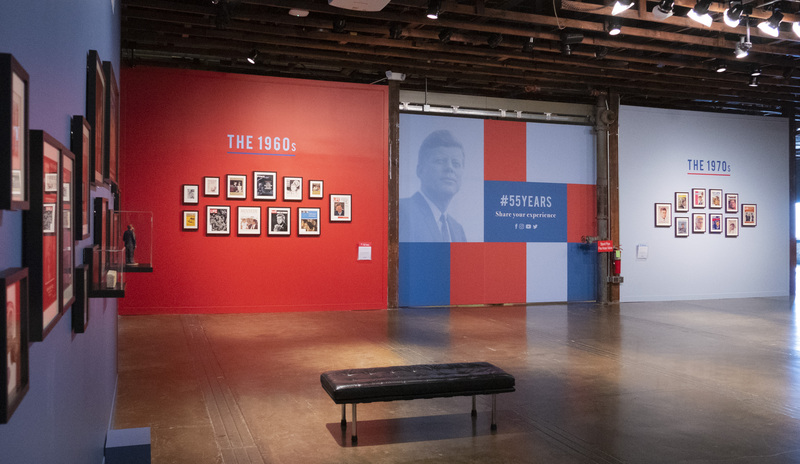 In honor of the 55th anniversary of his assassination, as well as the 30th anniversary of the Sixth Floor Museum at Dealey Plaza, the museum is presenting a new exhibit, 55 Years: President Kennedy on Magazine Covers 1963-2018. 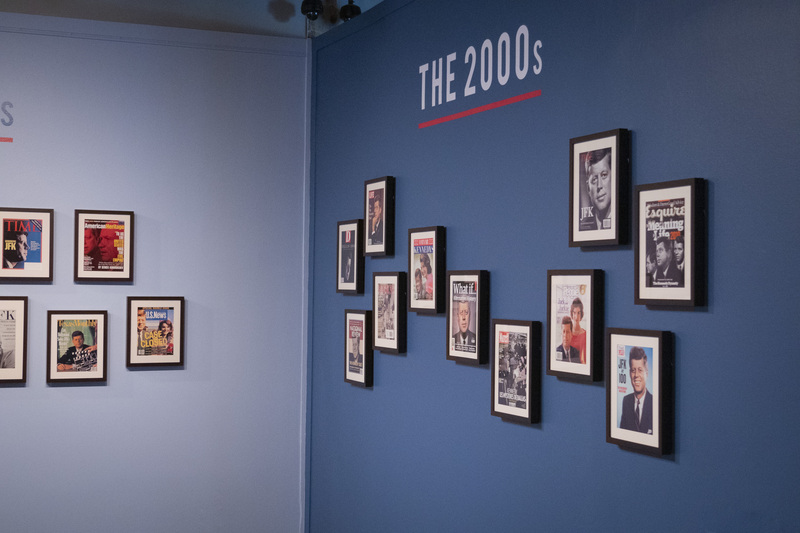 The exhibit, which runs now through Aug. 4, 2019, is showcased on the seventh floor of the museum and features 55 magazine covers arranged by decade on the gallery walls. The collection includes mainstream magazines like LIFE and Time, regional prints such as Texas Monthly and D Magazine, and niche publications like Cigar Aficionado and National Lampoon. Highlights include the September 1975 cover of the Saturday Evening Post featuring a portrait by Norman Rockwell and a 2017 People cover that recalls the glamour of Camelot. From one decade to the next, the collection shows the slow evolution of how JFK was perceived - going from shock and memorial to conspiracy and critique, before coming to a close with nostalgia. Before you take the elevator back down to the lobby, be sure to check out the other exhibit sharing space on the seventh floor. Donated by artist Alex Guofeng Cao, a New York-based artist known for his work with popular pop icons, JFK vs Jackie and Jackie vs JFK II are two large photomosaic portraits. President Kennedy's portrait is composed of 50,000 smaller pictures of Jackie, while the first lady's portrait is made up of the same number of small pictures of her husband. The exhibit is free with general admission. David is a freelance writer who has lived in the Dallas area his entire life. He and his wife, Amy enjoy taking their daughters to the many museums, symphony concerts and musicals that Dallas has to offer. In his free time, he collects vintage Star Wars toys and collectibles. Learn about the life and legacy of John F. Kennedy.